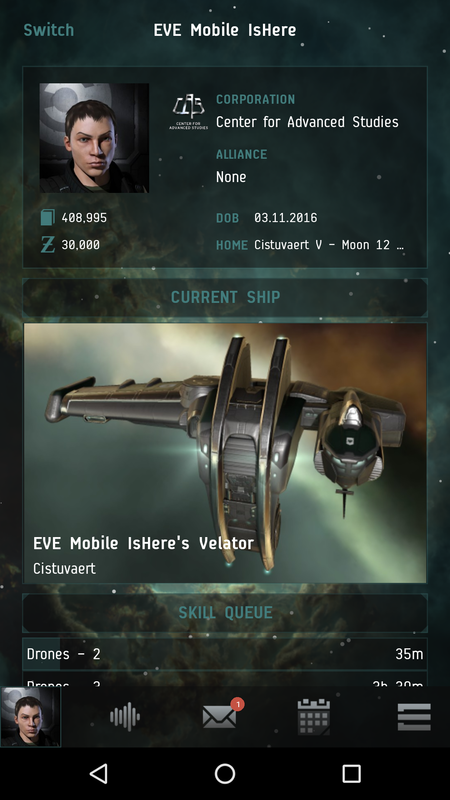 We are pleased to announce that EVE Portal, the EVE Online Mobile app, has been released today as an open beta for both Android and iPhone. 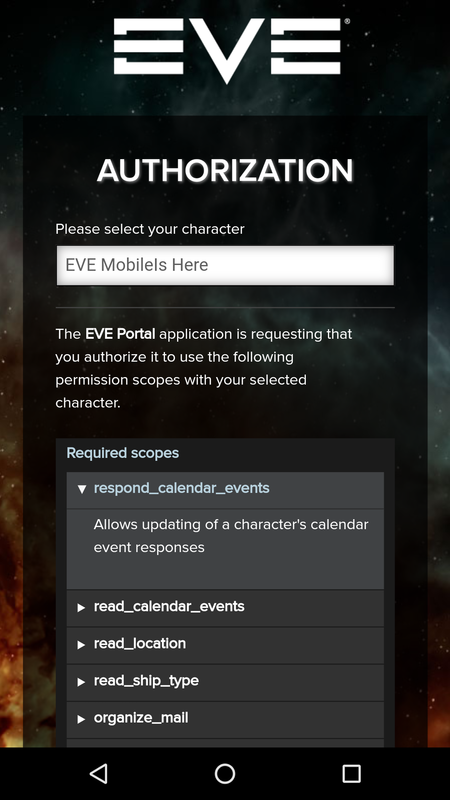 This first iteration of EVE Portal will include base level of functionality, with more to come in the future. 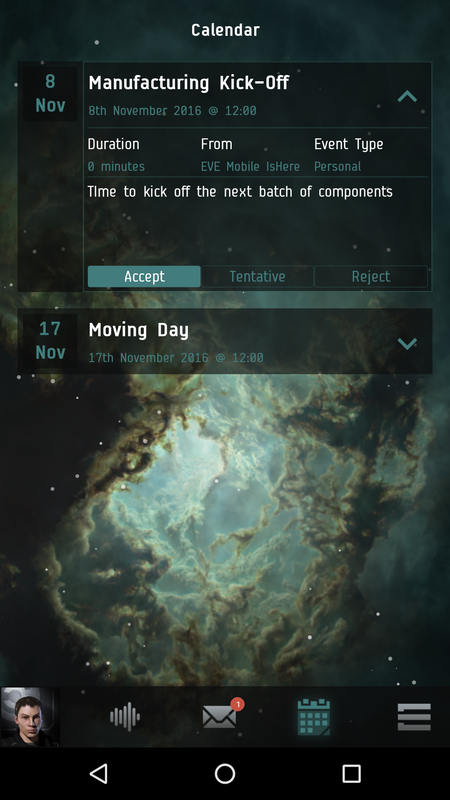 The initial release of the app includes character profiles for as many of your characters as you wish to track, an activity feed populated by in-game notifications, the ability to send and receive EVE Mail from tracked characters, the in-game calendar for all tracked characters, and the ability to buy PLEX and Aurum through our secure store. These can be accessed via the icons along the bottom of the app window. The first button opens the character listing. From here, you can see an overview of all of the characters you have added already, and add additional characters if you wish. Characters must be added one at time, even if they are on the same account. However, you can add characters from multiple accounts. Touching one of the character entries will open up further details on the character. Swiping a character entry to the left will remove the character from the list. 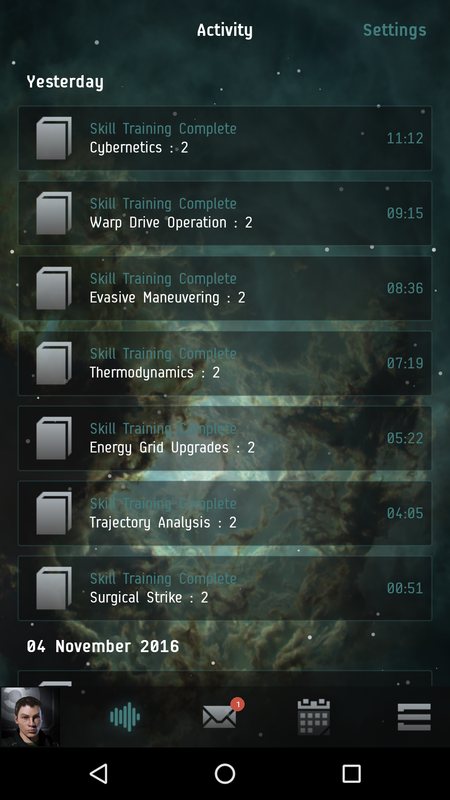 Any jump clones, their locations, and the implants they have installed. You can choose to disable push alerts and visibility in the activity feed for each separate entry to make sure you only get the notifications you care about. We will be adding more notifications in the future, so let us know which ones you would find most useful in the dev blog comments thread. The mail icon opens up mail for the currently selected character, allowing you to see all mails that they have received, including corporation and alliance mails. You can also compose new mails, with the “To:” field featuring character name matching similar to the client. Mail arrival can also trigger phone notifications, so you’ll know any time someone sends you fan mail. The calendar allows you to see upcoming events for the currently selected character. This includes personal, corporation and alliance entries. You can also accept, decline or tentatively accept invitations on the calendar. This is an especially useful feature for smaller corporations or alliances as it allows them to broadcast events to their members and get responses, even if they’re offline. 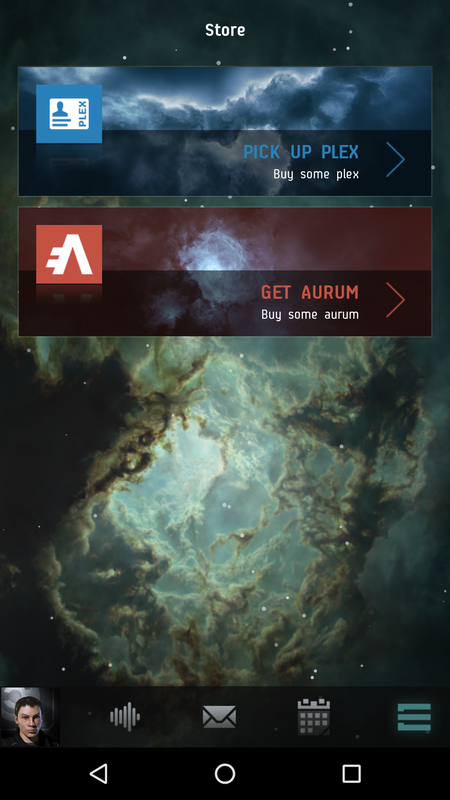 EVE Portal also allows you to purchase additional PLEX or Aurum for the account of the currently selected character if you have saved your payment details in account management. This is handy for topping up quickly from your phone. 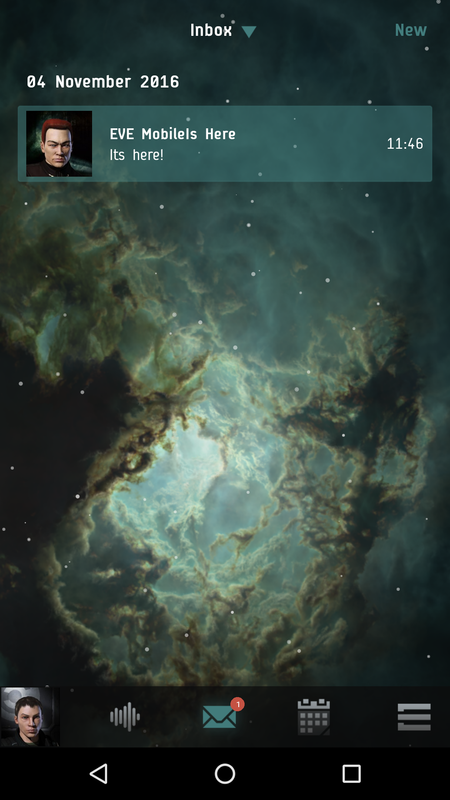 We hope you enjoy using EVE Portal, which can be downloaded now on both the Google Play Store and iOS App Store. If you encounter any issues while using EVE Portal, you can feel free to contact our Customer Support team for further assistance. While this initial release already contains some useful features, we will be continuing to add more functionality over time to enable you to do more, even when away from your computer. If you have particular ideas, you should let us know in the comments section.